Welcome to Brisbane’s finest Coffee Machine Repair Centre, specialising in the service & repair of all home coffee machine brands. With all the coffee machine repairs and service that we undertake, we have a very strict booking-in, servicing and post servicing process that we follow. This is part of the reason we have built a reputation as one of the leading provider for coffee machine repairs in Brisbane. We treat all customer coffee machines with love and care as you would expect from getting any premium appliance or motor vehicle serviced. All coffee machine repairs are undertaken by qualified coffee machine technicians to the appropriate factory standard. 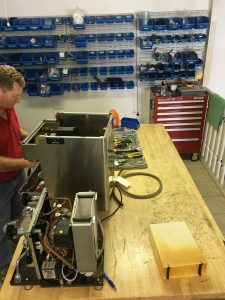 One thing we do that is different from other companies undertaking coffee machine repairs in Brisbane is that we have a separate person to who serviced the coffee machine do a post repair bench test to ensure that all issues with the machine have been properly addressed and the repaired coffee machine is thoroughly cleaned. PLEASE NOTE: Within the routine service, there is a health checkup of your machine. If issues are found, we continue to undertake these repairs up to a pre-approved nominal value of $495 (Single Boiler up to value of $270) without contact. If you wish the potential repairs to be undertaken up to a lower budgeted value, you are welcomed to vary this with our CMS team prior to signing the Service Request Form. 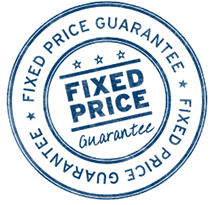 If the combined value of the service and repairs are to exceed the amount, you will be contacted for approval prior to the work being undertaken. The reason we ask for this pre-approved value of $495/$270 is that it is sometimes not possible to fully complete the servicing of a coffee machine without addressing issues as they are found. 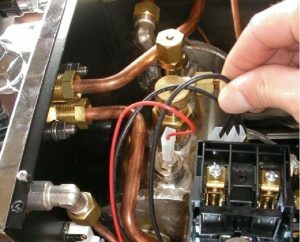 What is Covered in Coffee Machine Repair Routine Service? We believe in being very thorough with our fixed price domestic routine coffee machine service and have a strict process that we follow. Complete service under the group head including removal and replacement of group seal and shower. Complete service of taps including changing of gaskets and O-rings and greasing of tap spindles. Removal and cleaning of boiler water level sensors if required. Checking that group head pressure is running as per factory specification and adjust if possible (model dependent). Our detailed procedures ensure that all these steps are followed consistently to ensure that your routine coffee machine service is undertaken to exacting standards. NOTE: All our routine coffee machine services are fixed price which includes all applicable gaskets, o-rings and showers. Details can be found on our Price Schedule. We make your world a safer place.